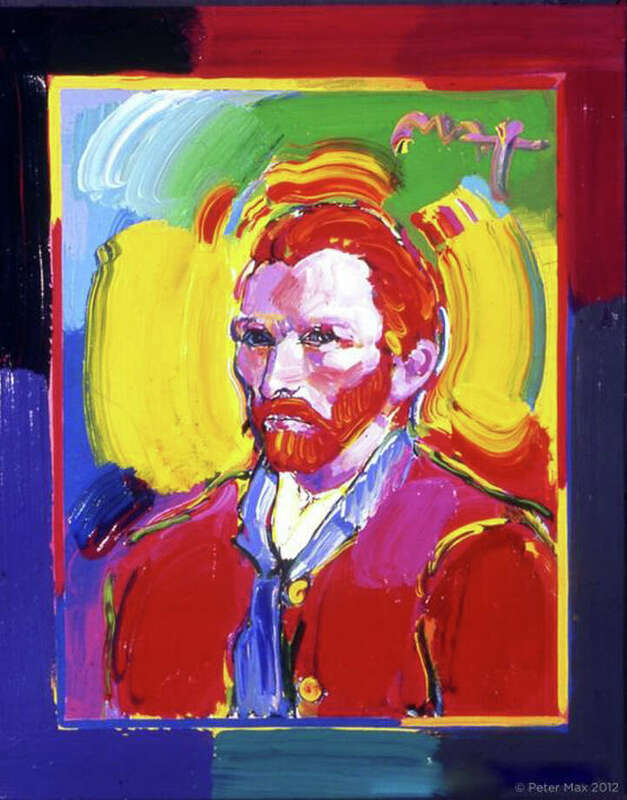 Peter Max will unveil his new masters series, interpretive works of Vincent Van Gogh, Monet, Pablo Picasso, Renoir and Edgar Degas at Geary Gallery in Darien, Conn. Paintings by pop art icon Peter Max will be on exhibit at the Geary Gallery in Darien in September. Max will unveil his new masters series, interpretive works of Vincent Van Gogh, Monet, Pablo Picasso, Renoir and Edgar Degas, which are conceived in Max's signature style and colors. The works speak to both a maturation of the artist's illustrious career, as well as to his formidable training at the 130- year- old Art Students League of New York. Max emerged as a powerful force in the art world from the Art Students League, alongside such artists as Robert Rauschenberg, Jackson Pollack, Cy Twombly and Norman Rockwell. The league was a formative influence on the artists' innovative artwork. Previews begin Sept. 5, and the exhibition extends through Sept. 9. Max will make two special appearances at the gallery on Saturday, Sept. 8, and Sunday, Sept. 9. With paintings on exhibit in hundreds of museums and galleries worldwide, Max and his vibrant colors have become part of the fabric of contemporary culture. Max has been successively called a pop icon, neo fauvist, abstract expressionist and the United States, "painter laureate." The artist has painted the last seven presidents of the United States and the world's best-loved celebrities, among them singer Taylor Swift. The exhibit will feature his iconic and best-known pieces, as well, among them "Statue of Liberty," Max's famous "Flag" pieces, "Umbrella Man" and the 10 cent Stamp bearing the title "Preserve the Environment." There will also be presentations of his celebrity portraiture. Max is known for his celebrity commissions and portraits. For more information about Peter Max, visit www.petermax.com. Meet-the-artist receptions will take place on Saturday, Sept. 8, from 6 to 9 p.m. and Sunday, Sept. 9, from 1 to 4 p.m. Appearances are open to the public and artwork will be available for acquisition. RSVPs are requested. Call 203-655-6633 or email anne@gearygallery.com. For more information, visit www.gearygallery.com.